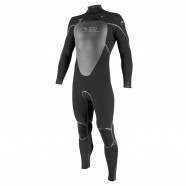 Rip Curl Wetsuits - Rip Curl Omega 5/3mm Back Zip Wetsuit - Black :: Men > Wetsuits. 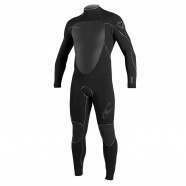 Freeflex Neoprene: A new generation of high stretch neoprene. More Stretch for less effortHydro-Loc Collar: Adjustable collar to seal the neck and prevent water flushesGlued Blindstitched Seams: Triple glued. double stitched seam allows high stretch. strength & minimal water entryFull Back Zip: For easy entry with durable zip and cord attachmentUltralight Neoprene: Highly flexible and lightweightPlease Note: Unfortunately we are unable to ship this product to Australia Size: Small.